Would you like to become a Stephen Minister and scale new heights? Stephen Ministry Training commences the last Thursday in September every year and concludes in March of the following year. 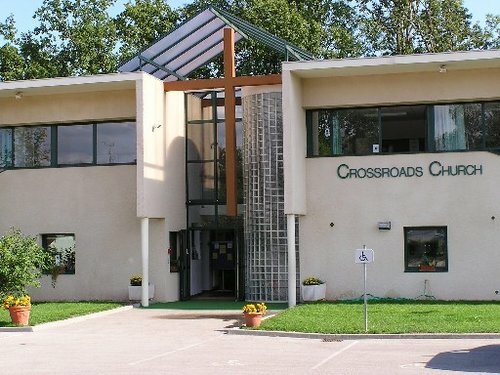 Training for 2019-2020 will be taking place at Crossroads Church in Ferney-Voltaire, France. Please click the 'Enroll Here" button to apply. Training runs for 20 weeks and takes place every Thursday (7:00 pm - 9:00pm). If you are experiencing some of life's difficulties and would like to speak confidentially with one of our Stephen Ministers then please use the form below. Note: All correspondence is treated confidentially. If you would prefer to send us an email directly instead of using the form below then email stephen.leader at stephenministry.ch. "The first service that one owes to others in the fellowship consists of listening to them. Just as love of God begins with listening to his word, so the beginning of love for our brothers and sisters is learning to listen to them."